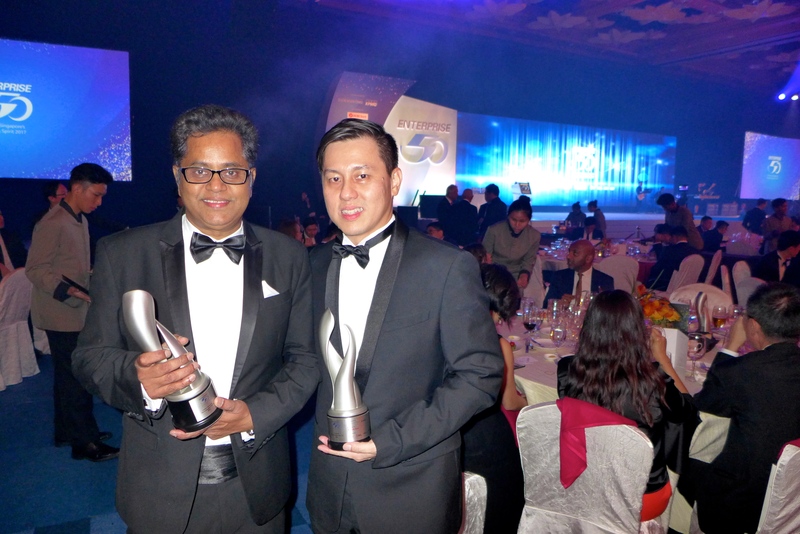 We are proud to announce that two of LINTEC & LINNHOFF Holdings Pte Ltd’s subsidiaries, Linnhoff Technologies Pte Ltd and LINTEC Concrete Technologies Pte Ltd, were awarded the prestigious Enterprise 50 (E50) Award at Resorts World Sentosa on 21st November 2017. The E50 Award is jointly organised by The Business Times and KPMG Singapore, and is supported by the International Enterprise (IE) Singapore, Singapore Business Federation (SBF), Singapore Exchange (SGX) and SPRING Singapore. The E50 Awards seeks to recognise 50 privately-owned businesses in Singapore for their contributions to the economy in Singapore and overseas. It is Linnhoff Technologies’ 6th time receiving this award, while it is LINTEC Concrete Technologies’ very first time. These achievements would not be possible without the hard work and effort of all staff over the years.